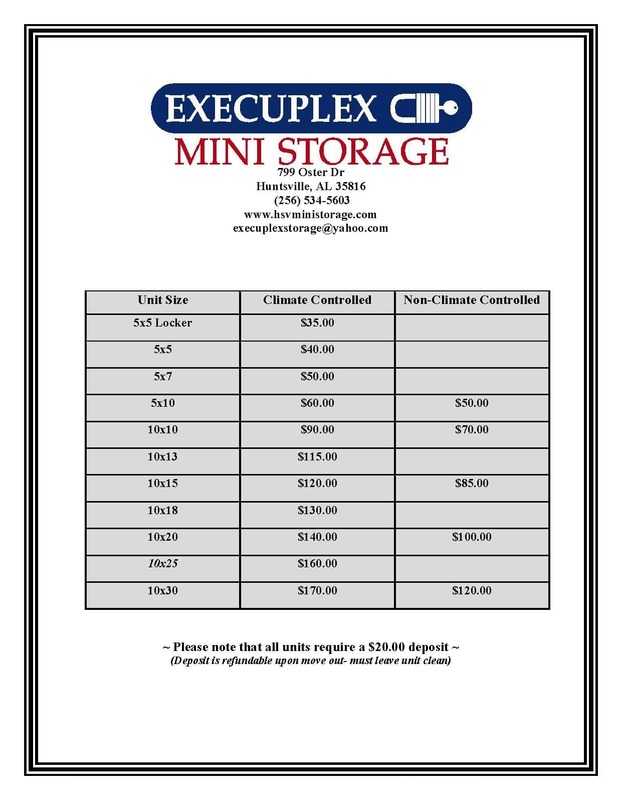 Whether you’re looking to store a couple of boxes or a house-full of boxes and a car, Execuplex Mini Storage is the place for you. We have units that range from 5’X5′ all the way to 10’X30′ so that you can have the space you need to store your belongings. You can also take advantage of our climate controlled units to store things that require year-round protection from extreme heat or cold. Call (256) 534-5603 today.